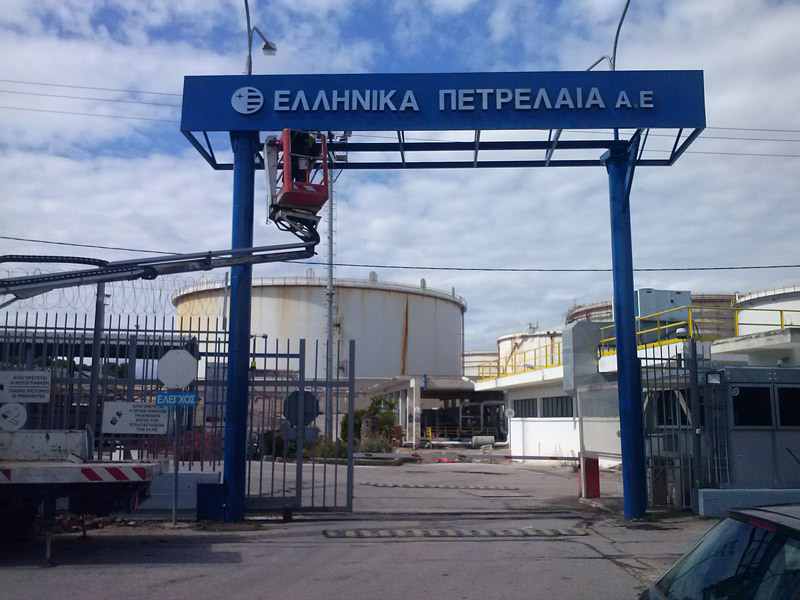 Our main clients are ΕΚΟ, HELLENIC FUELS S.A., CYCLON HELLAS S.A., AVIN OIL, CORAL GAS, BP, SHELL, as well as the LPG facilities of EKO S.A.. 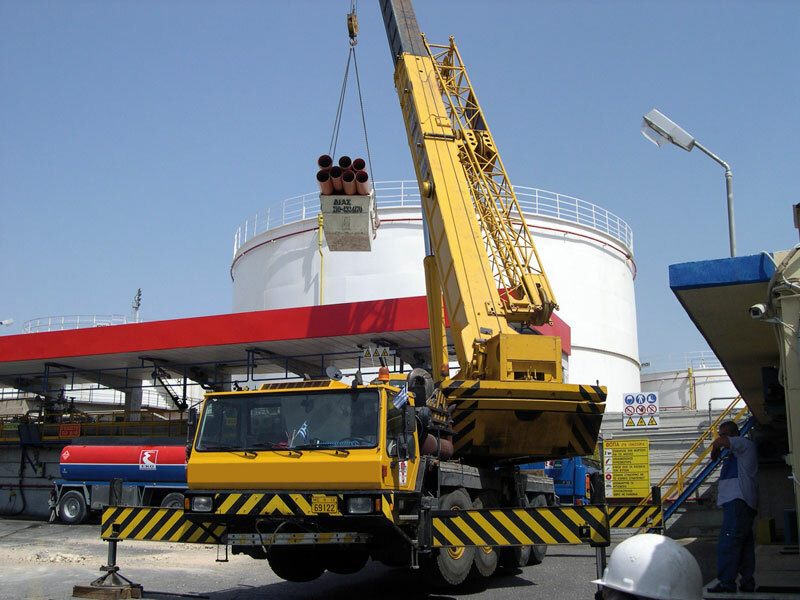 In the facilities mentioned above we have undertaken civil & structural engineering projects, and electromechanical installations. 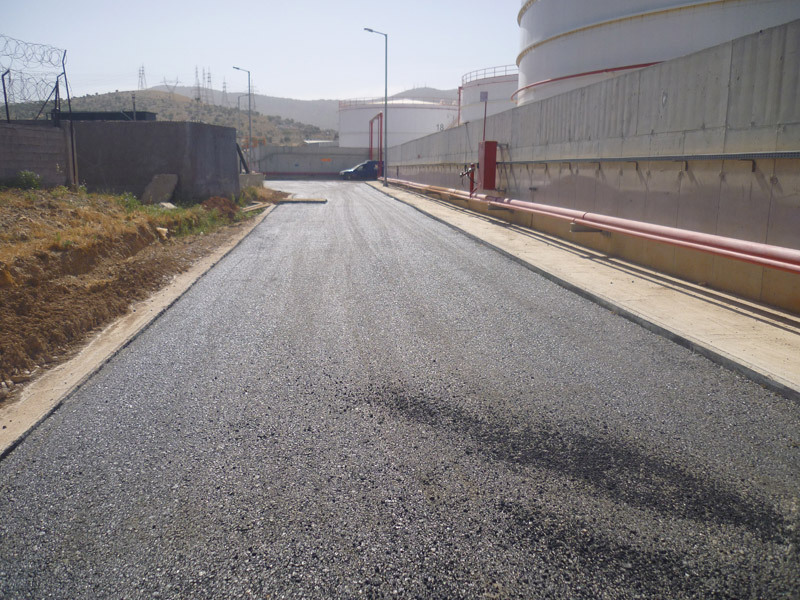 We have completed projects of construction and reconstruction of buildings, offices, steel buildings, road works, security tubs for tanks etc. 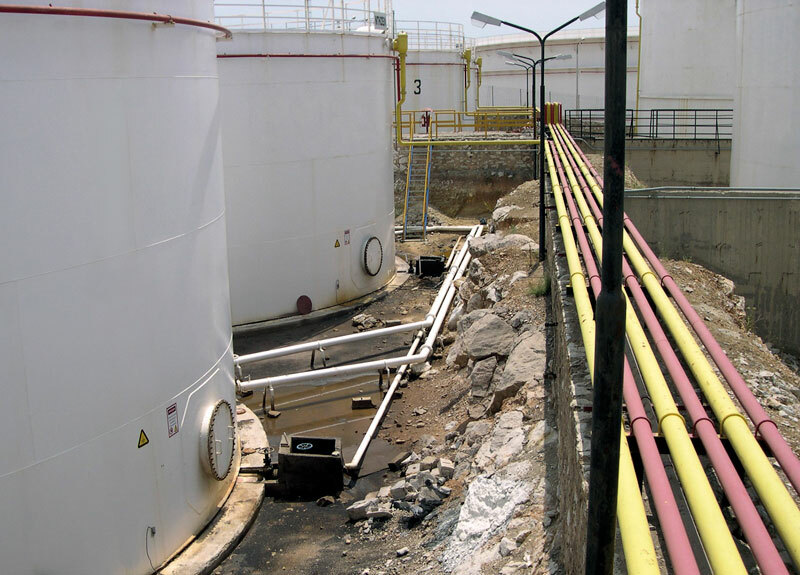 We have also executed mechanical and electrical projects, construction of pumping stations, substations, electrical networks, piping networks (fuel, air, fire extinguishing etc), infrastructure for specialized equipment (level sensors, filling pumps, etc.) 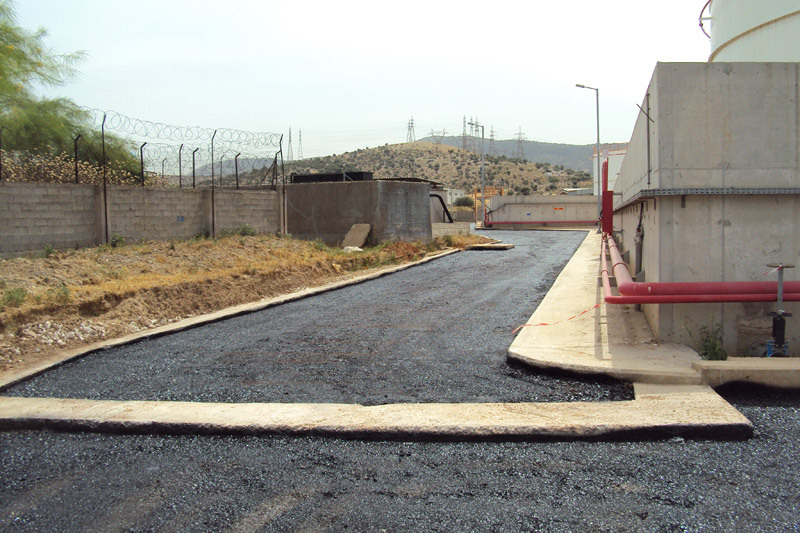 as well as anti-explosive facilities. 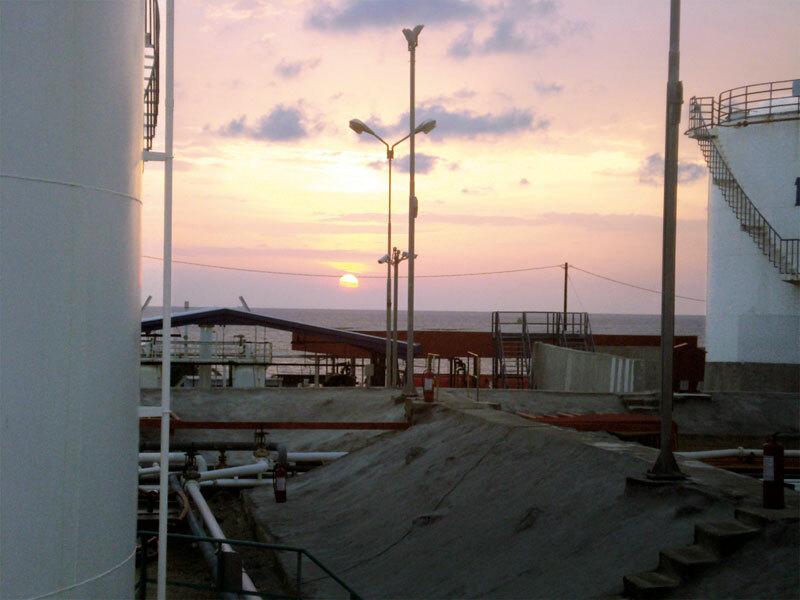 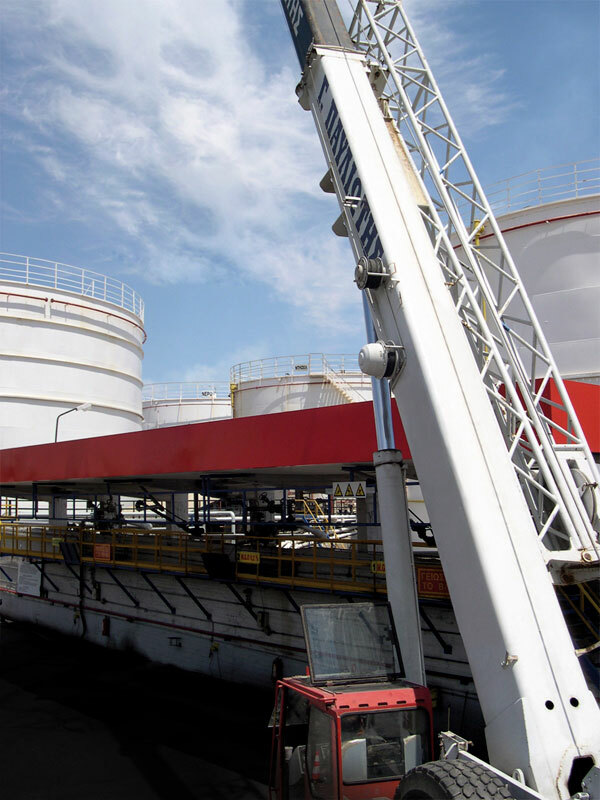 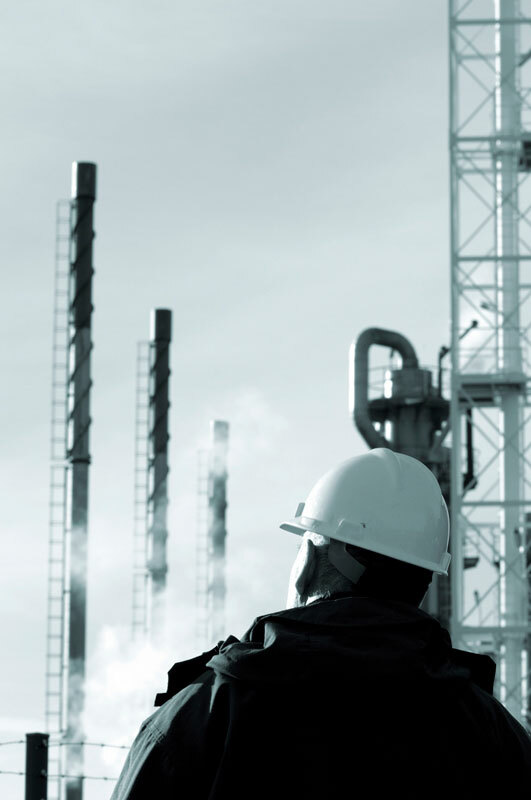 Since its establishment, ATEKE has also been active in the field of oil product companies’ facilities. 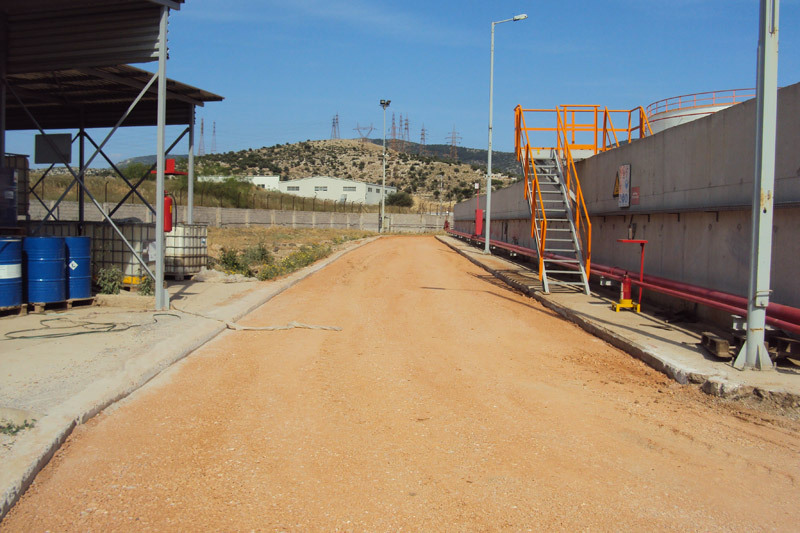 This project includes the completion of the: “UPGRADE of the PERIPHERAL ENCLOSURE of VEM – PACHI – AG. 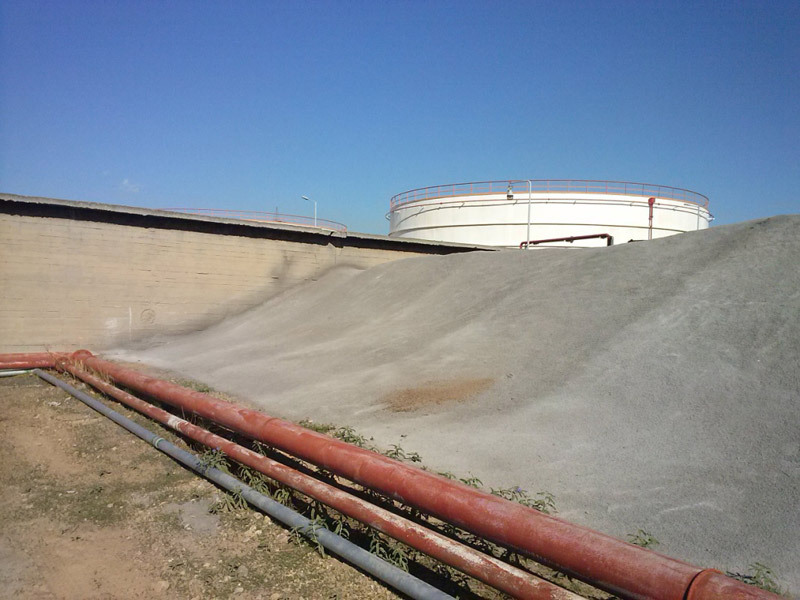 TRIADA”. 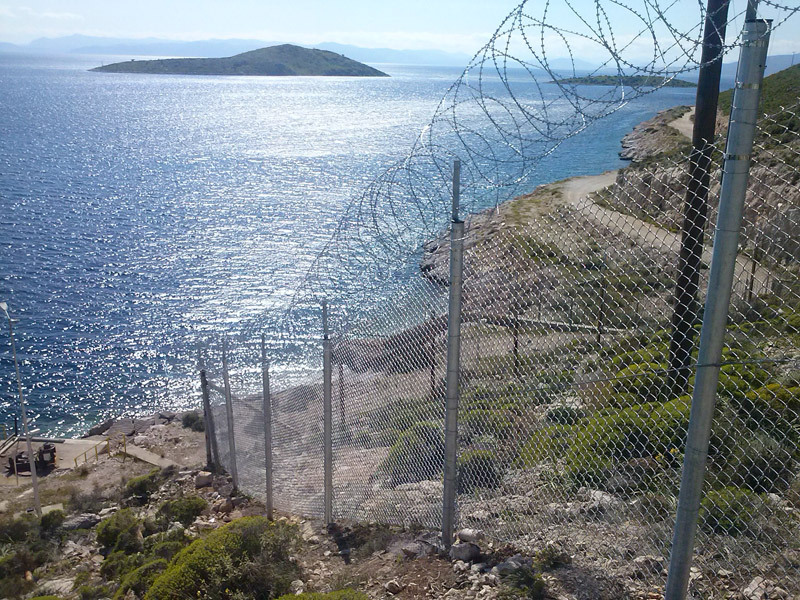 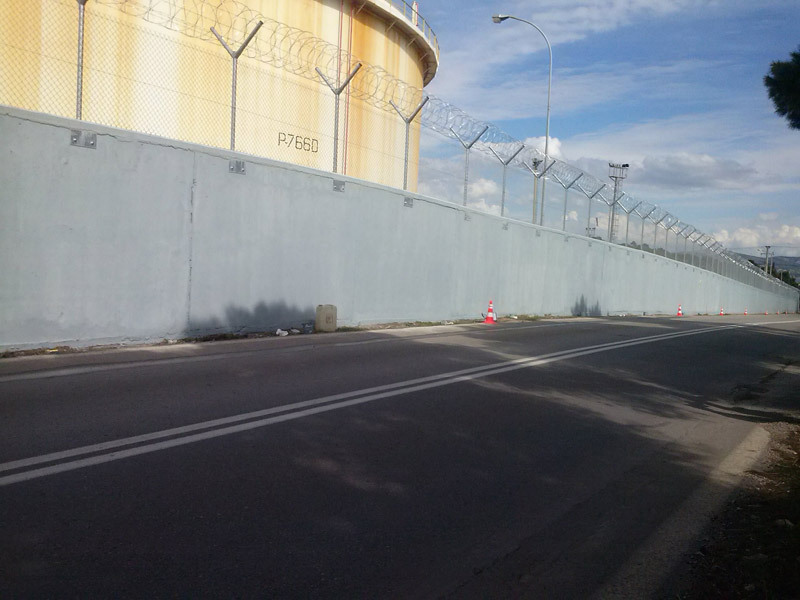 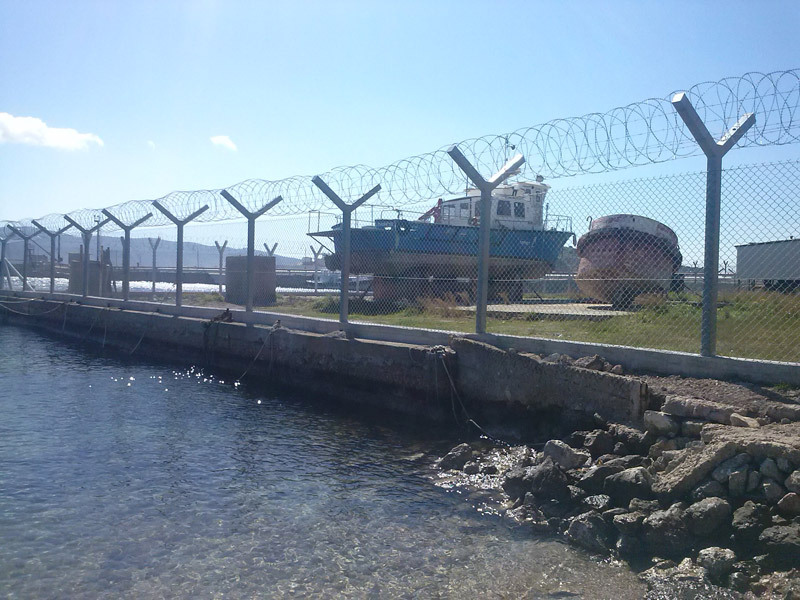 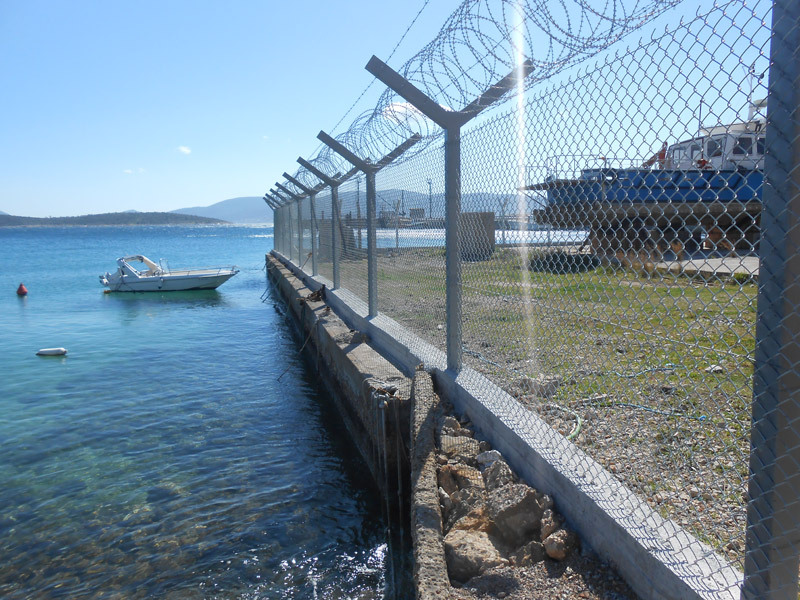 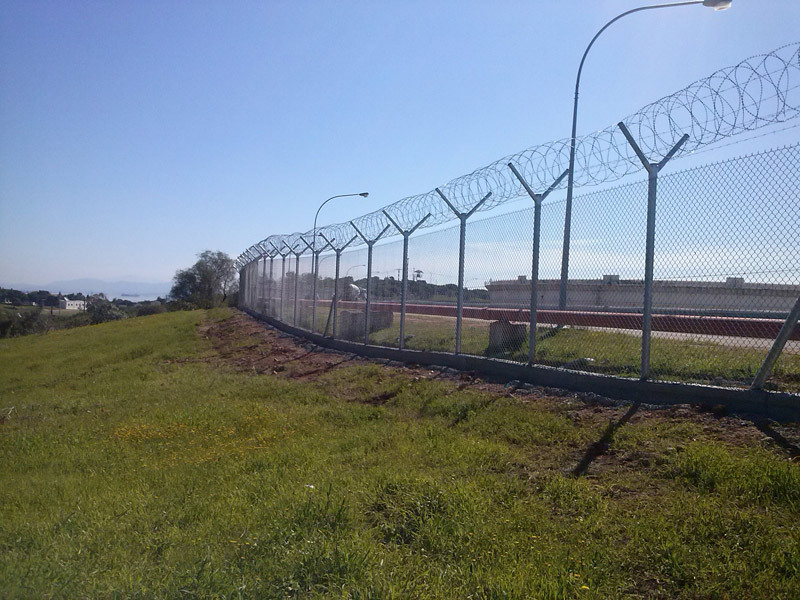 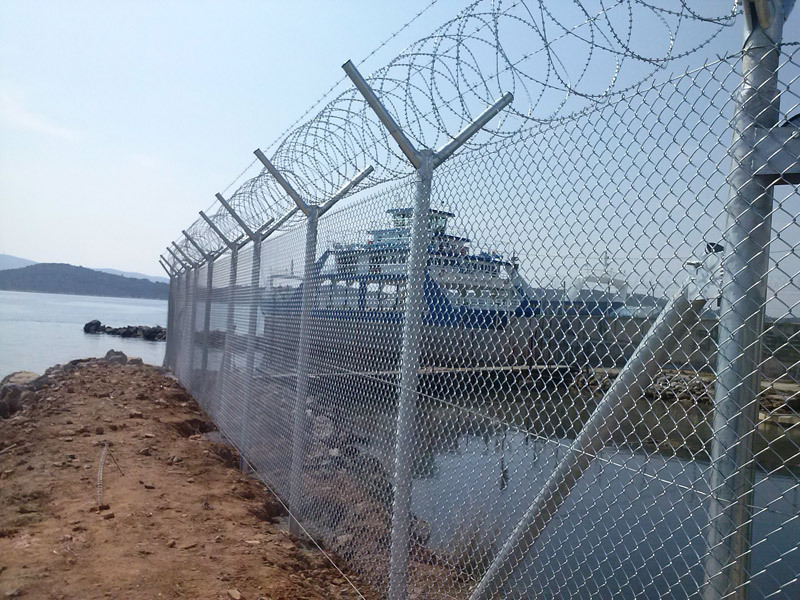 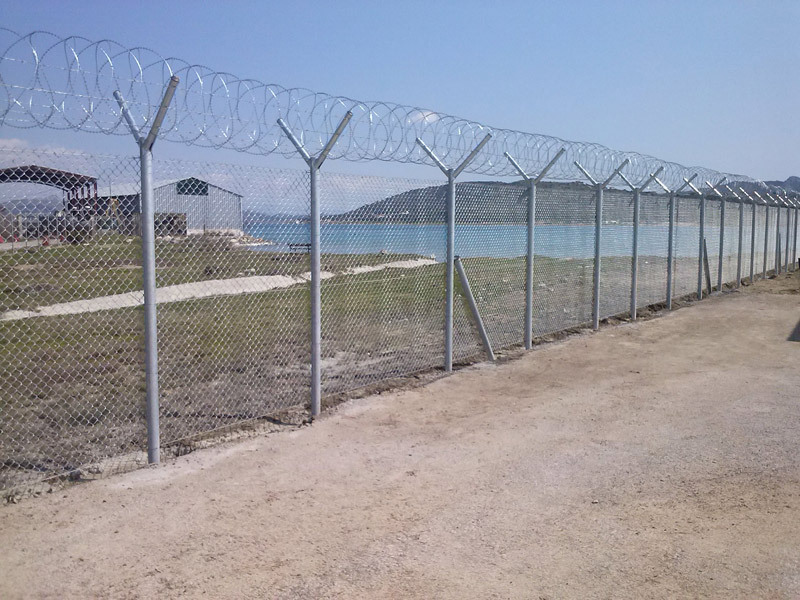 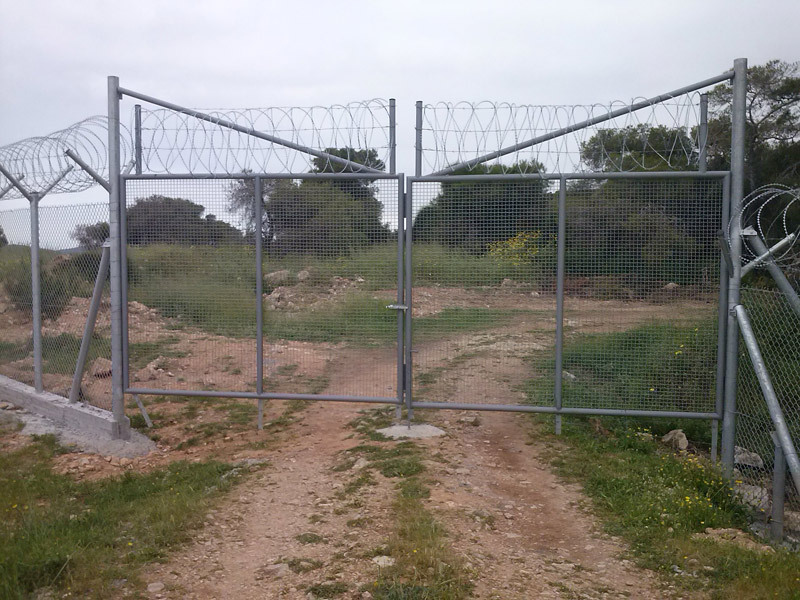 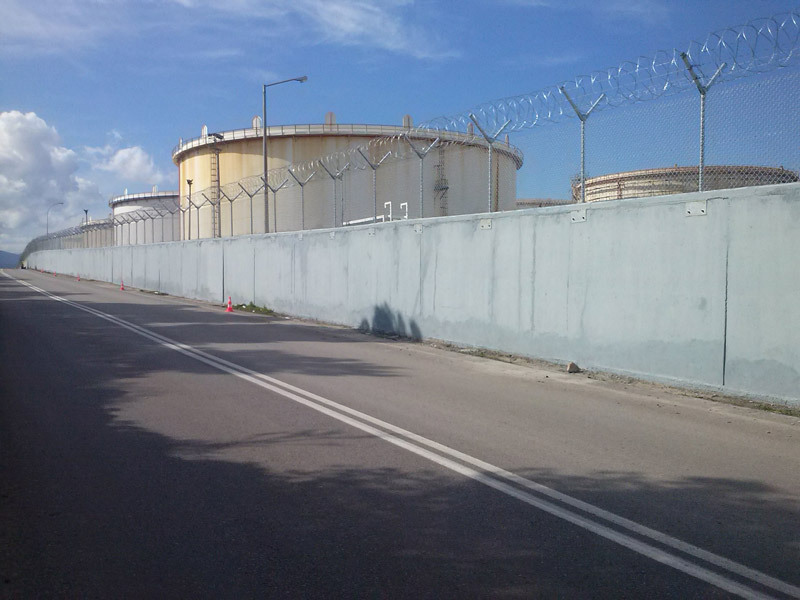 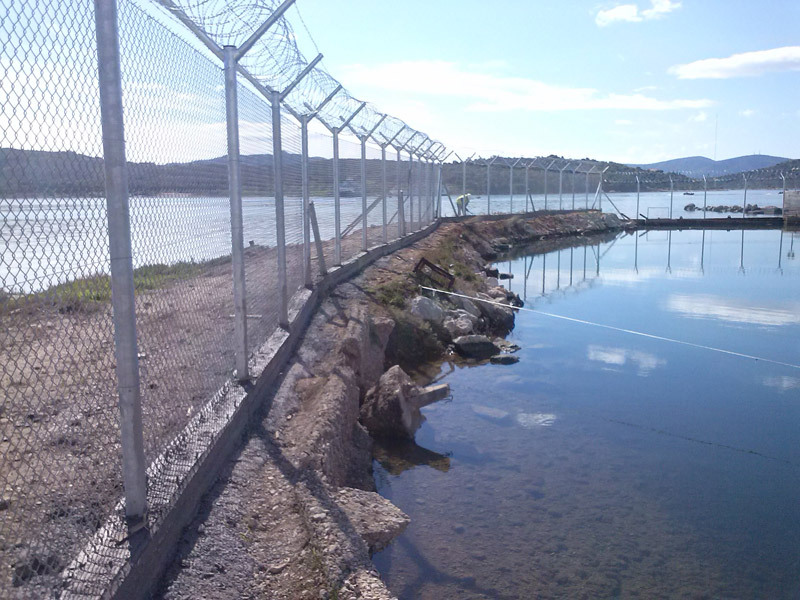 It concerns work done for the maintenance of an existing fence (wall, lattice, railing) and the fitting of a new rural fence and metal doors with purpose to improve the perimeter fence of the premises of GREEK PETROLEUM in Megara, Pahi and Agia Triada. 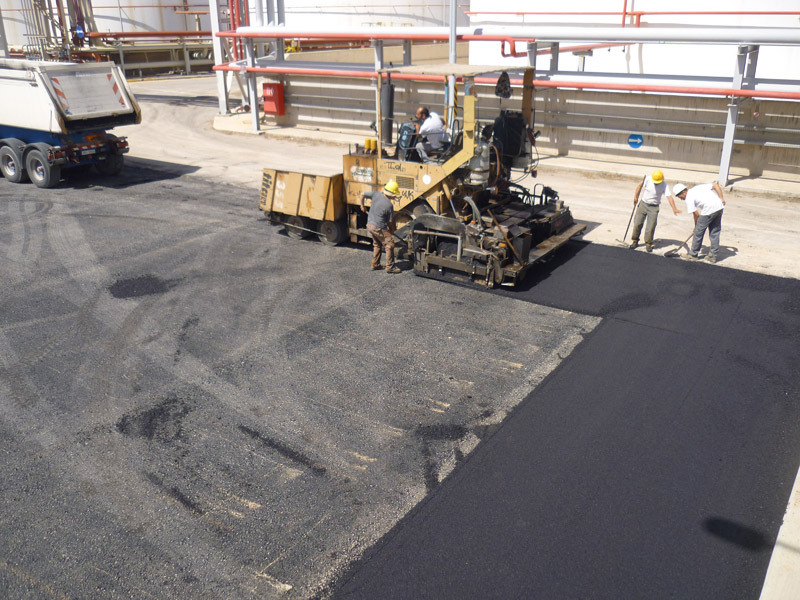 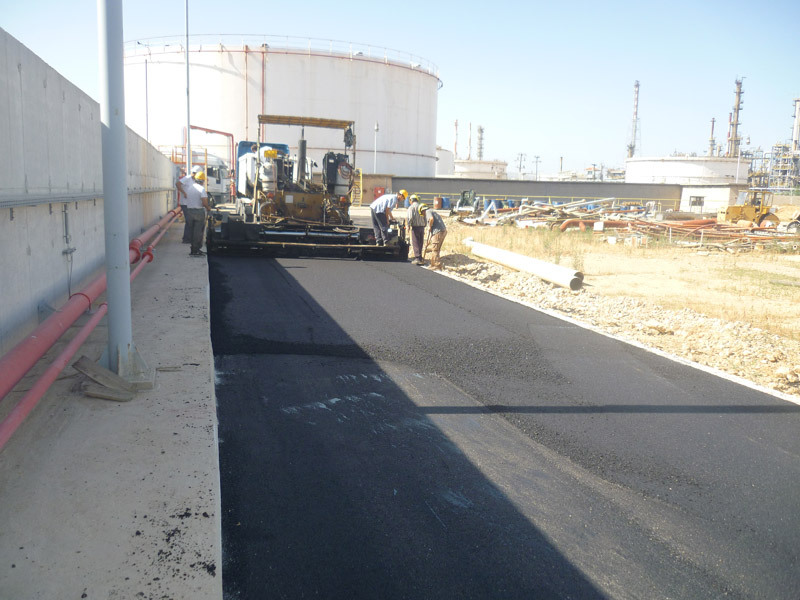 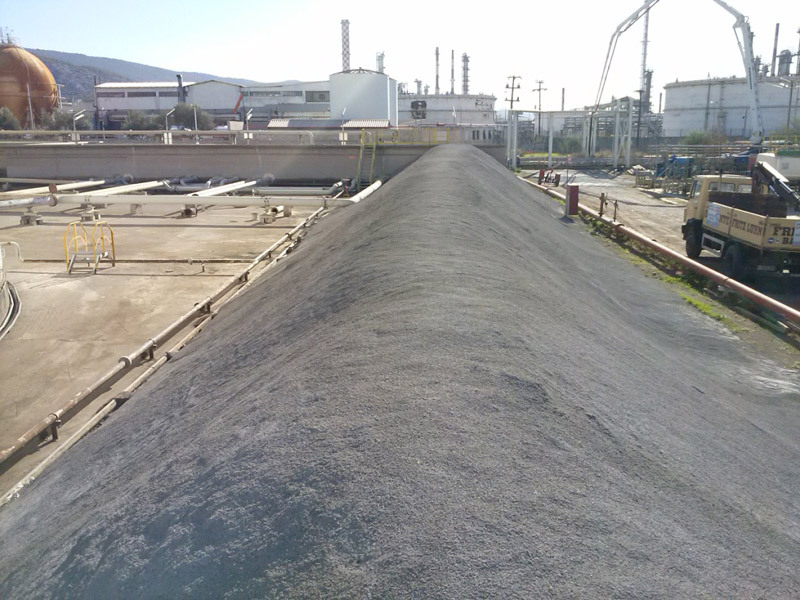 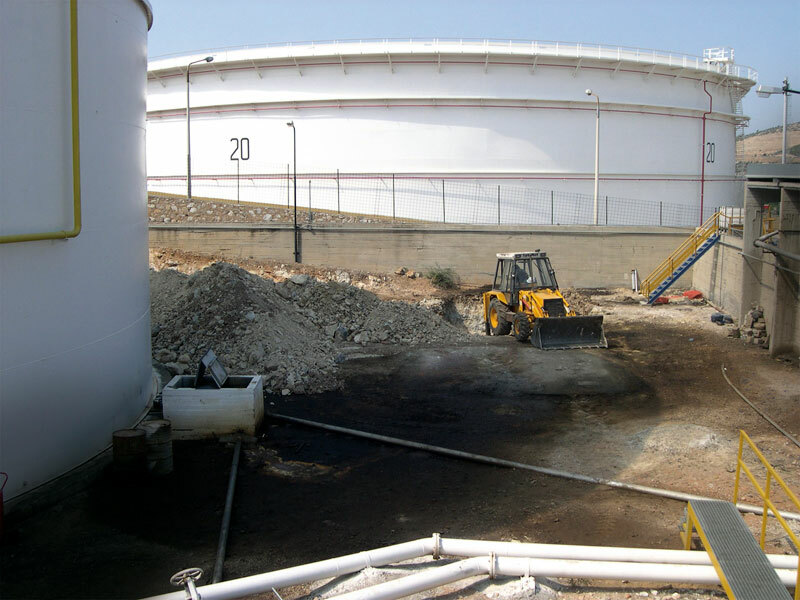 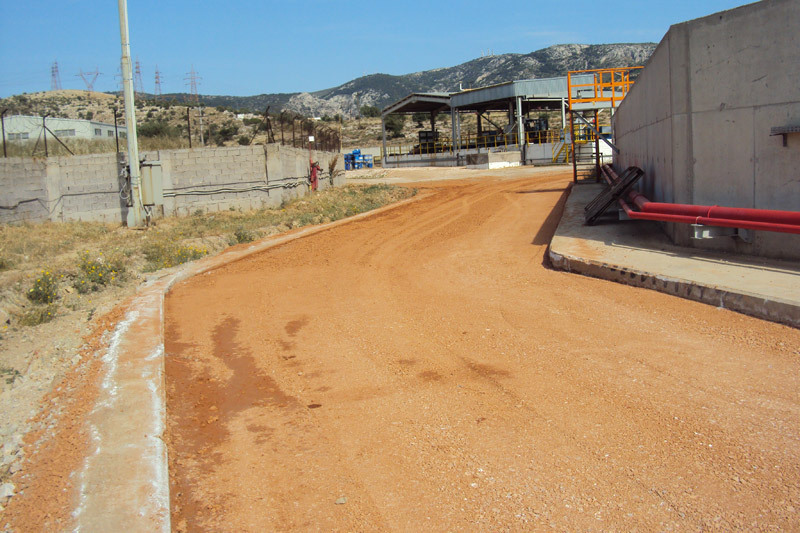 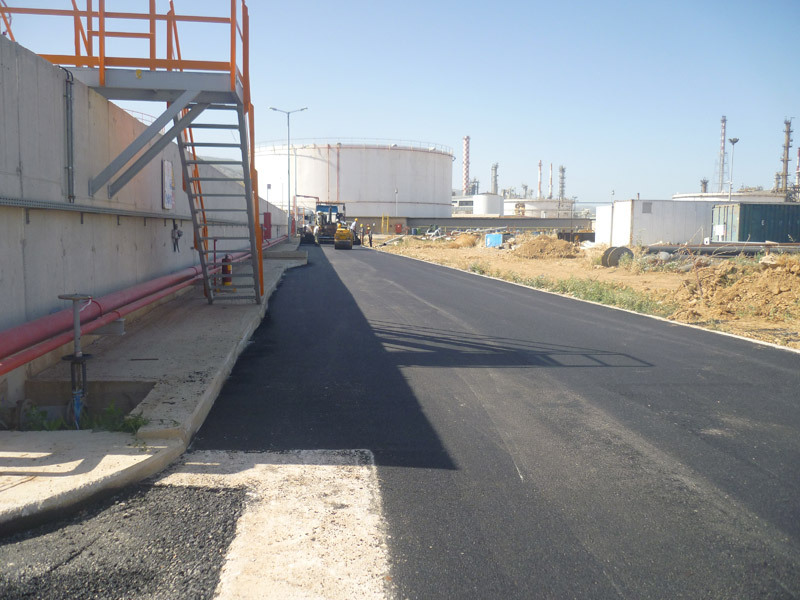 This project concerns the construction of a new local road, roadway with asphalt perimeter of containment basins installation for EKO – GREEK Fuels in Aspropyrgos. 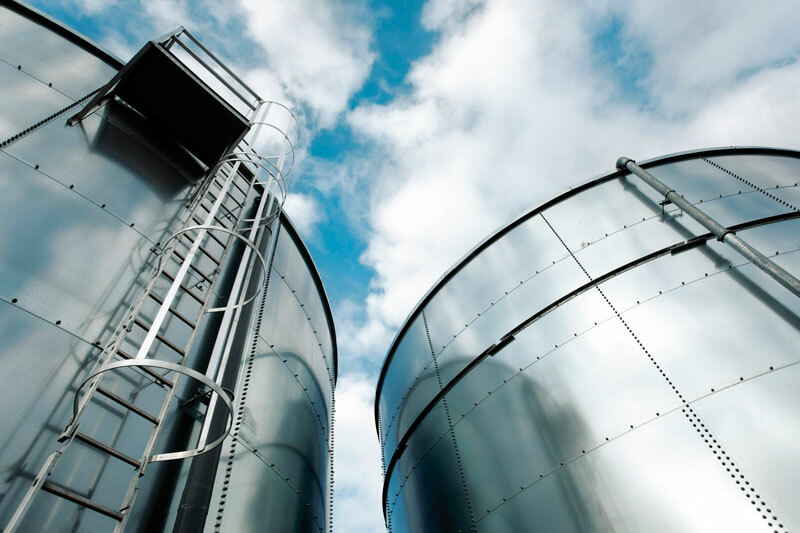 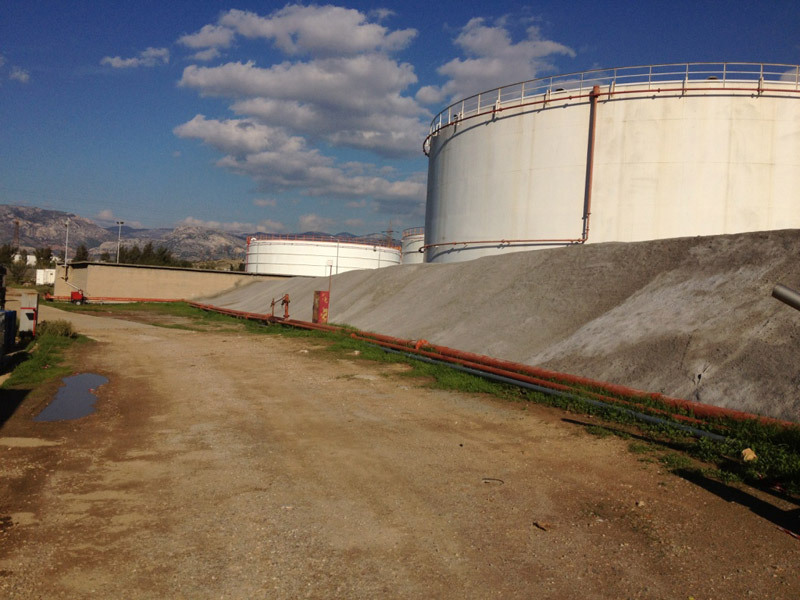 The project includes the stabilization of slopes of buffer basin tanks in the GREEK Fuels establishment in Aspropyrgos. 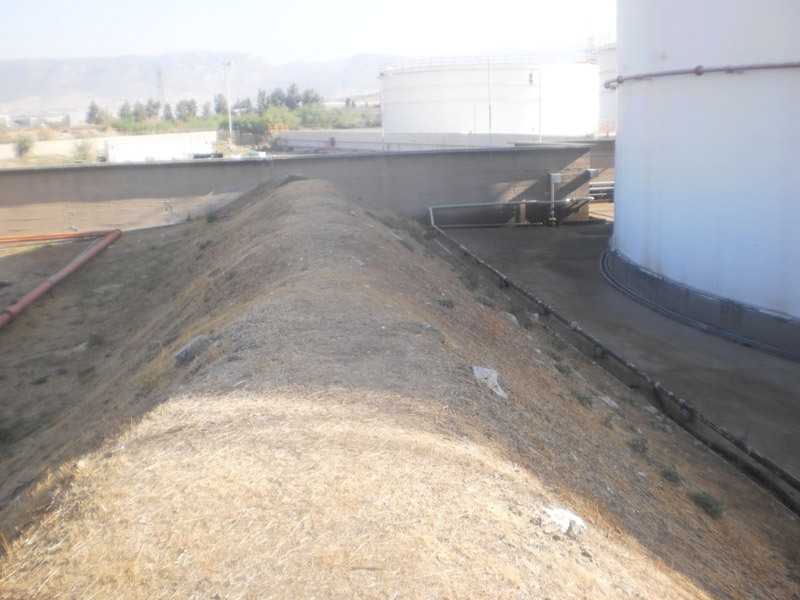 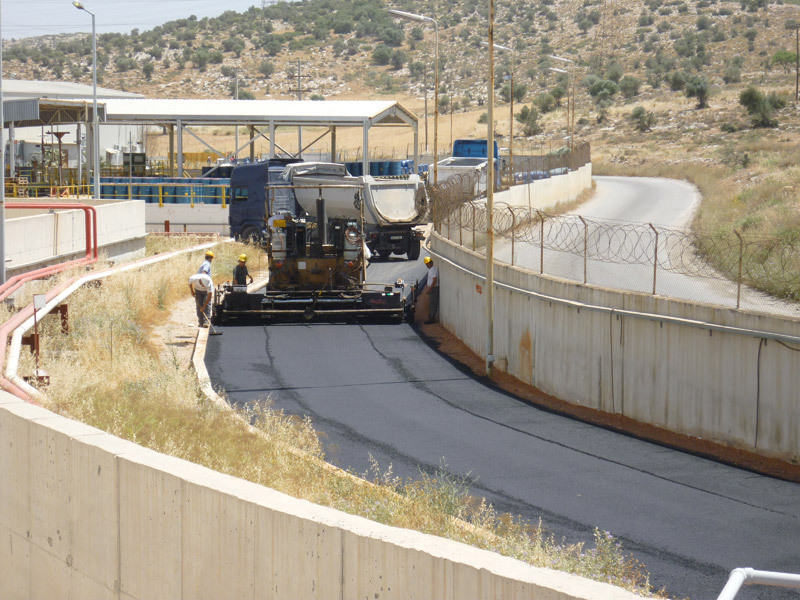 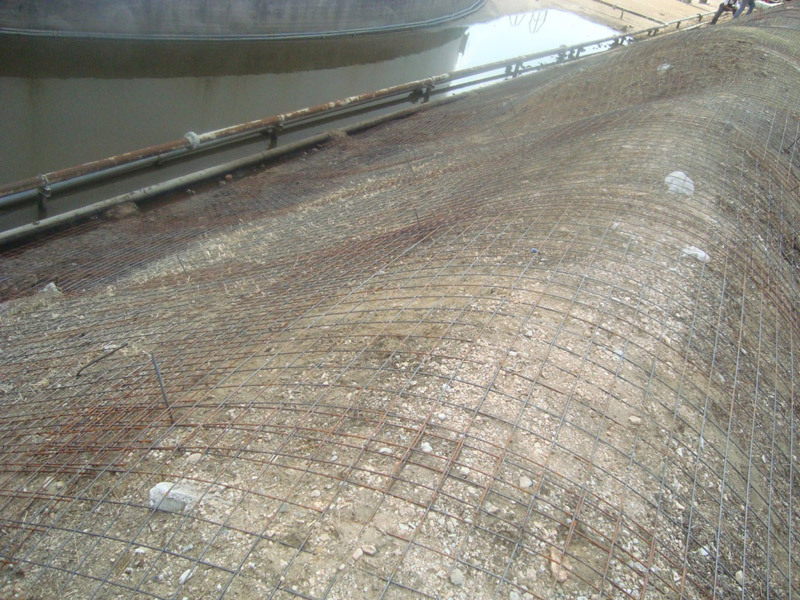 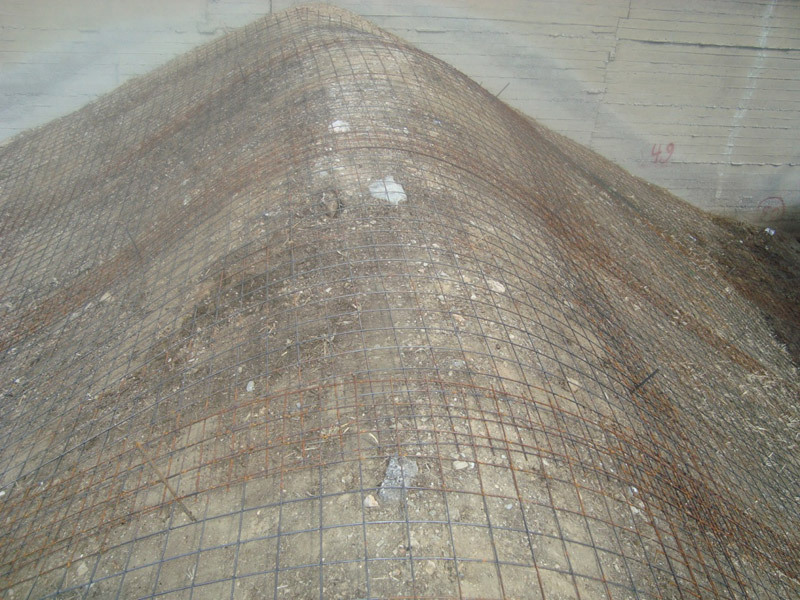 The slopes were cleaned from waste and plant debris, and then, after the final configurations were made, the reinforcement was placed by using proper spacers, and finally, the concreting of the shotcrete was completed.